"It's 1988, so find a screwdriver to realign the tape head of your C64 Datassette, and load up a C90 full of nostalgia! A fine (winning!) MAGS entry, begging to be expanded into a full length tittle. Controls could use a little tweaking, but there's lots of fun to be had here!" Lovely retro vibe, the race controls weren't quite as smooth as I'd have liked, but pit stops were well done and talking to the team managed reminded me of the guy in the showroom in Supercars. 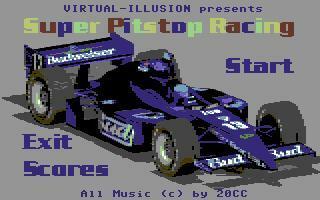 If you want a bit of 8-bit racing nostalgia, this is an enjoyable game.